The wait is over! This is the second Team Racing Endurance Challenge event promoted by NASA and the first in the Mid South region. 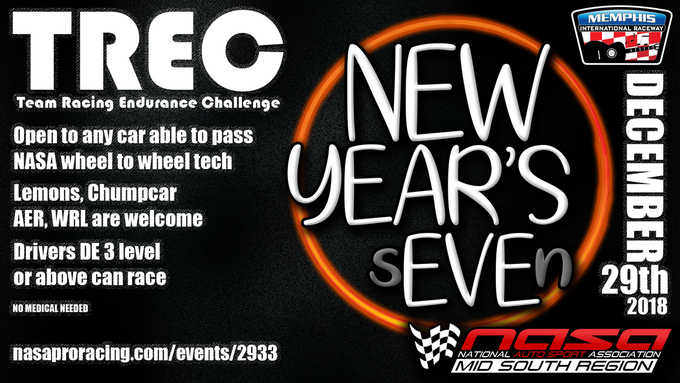 Our first TREC event will be Saturday, December 29 at Memphis International Raceway. This is a 7 hour race open to cars that will pass NASA's wheel to wheel racing tech. If you are DE3 (open passing with other organizations) level and above, you can race (no medical needed). This event is also open to those that have competed in other endurance series (Lemons, Champcar, AER, WRL). If you have a question as to whether you qualify & want to participate, email Shawn at staylor@drivenasa.com with questions. As the rules state (please read them), if you have a NASA Comp license or Provisional, you are ready to register. If you do not, you will need to purchase a TREC competition license for $65. These can be purchased on line via your NASA logon. The captain of the team is responsible for registering the team, submitting all paperwork, and will be the main point of contact with the Mid South region personnel. Pit space selection will be based on the order of registration. A maximum of two additional crew members (not including registered drivers) will be allowed to work on/service the vehicle while on the hot pits/pit lane. 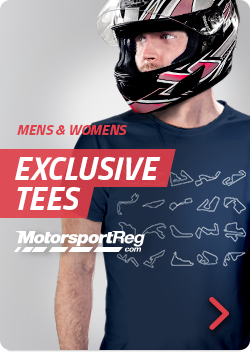 The reason for this is to limit the number of people that the pit/grid marshals have to deal with during the event. Non-drivers without a credential will be asked to return to the paddock. Supplemental rules for Memphis International Raceway events, if any, will supersede the national TREC rules. The Race Director will review these at the drivers meeting and a link to these should be provided in your confirmation email (usually sent Tuesday evening before the event weekend). As always, thank you for driving with NASA Mid South.